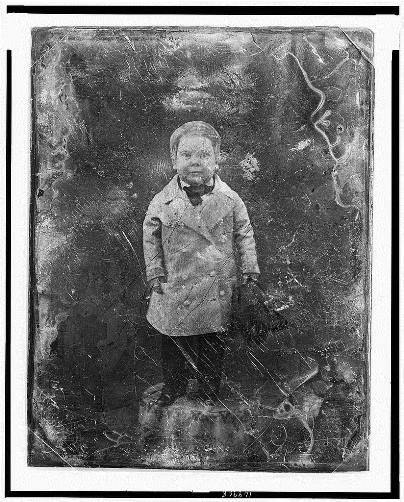 On January 4, 1838, entertainer Charles Sherwood Stratton (aka Tom Thumb) was born in Bridgeport, Connecticut. Only seven months after his birth, Charles’s growth slowed dramatically and his remarkably diminutive stature (eventually reaching only about three feet in height) helped make him famous around the world. Ever the showman, Barnum took Tom Thumb off to England and by 1844 he was performing at London’s Egyptian Hall. Queen Victoria then invited Stratton and Barnum for a command performance at Buckingham Palace—providing Barnum with enough publicity to continue the tour across the European continent. By the time Stratton turned 10, he had already been the guest of Queen Isabella of Spain and King Louis Philippe of France. On February 10, 1863, Stratton married fellow Barnum attraction Lavinia Warren and the couple went to Washington, DC, for their honeymoon—after receiving an invitation from President Abraham Lincoln. Following their honeymoon, the Strattons embarked on a three-year tour around the world performing in over 580 cities. Charles Stratton continued performing with his wife and remained a popular celebrity right up until his death on July 15, 1883, at the age of 45. Lavinia outlived Charles by 36 years, finally passing away in 1919. Today, a monument in Mountain Grove Cemetery in Bridgeport marks the place where the Strattons, together, are buried. “The Lost Museum,” 2017. Link. “The Tom Thumb Archive.” The Lost Museum, 2017. Link. Lehman, Eric D. Becoming Tom Thumb: Charles Stratton, P. T. Barnum, and the Dawn of American Celebrity. Middletown, CT: Wesleyan University Press, 2013.